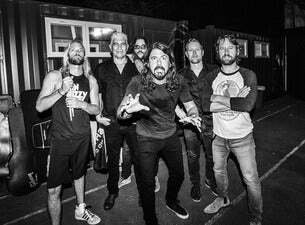 Hearts, minds and attendance records are set to be blown in January and February 2018 as Foo Fighters return to rock stadiums across Australia and New Zealand in support of their ninth studio album Concrete and Gold (out 15 September on Roswell Records/RCA Records through Sony Music Entertainment Australia and New Zealand). The 11-time Grammy-winning, 25+ million-record-selling stadium rock greats will welcome the new year with an epic tour that kicks off at Perth’s nib Stadium on Saturday 20 January, before touring Adelaide, Brisbane, Sydney and Melbourne, and wrapping up across the ditch at Auckland’s Mt Smart Stadium on Saturday 3 February. Foo Fighters will be joined at all shows by very special guests Weezer, plus a local opener from each city on the tour. Foo Fighters were last in Australia and New Zealand on their 20th Anniversary World Tour supporting their eighth album Sonic Highways, tearing through anthems including “Something From Nothing” and perennial favorites ‘Everlong’, ‘Learn To Fly’, ‘Best Of You’ and ‘My Hero’, picking up the record as one of 2015’s top five grossing tours in the process. These dates will be the first time Australian and New Zealand fans will experience tracks from Concrete and Gold live in all their glory, holding their own alongside Foo Fighters classics like “Walk”, “These Days”, “The Pretender”, “All My Life” “Times Like These” among countless others.